This week has seen many wild events, some tragic in fact. We want to extend our thoughts and well wishes to all those affected by the huge storm Sandy along the east coast. We all love gaming, but there is nothing fun or entertaining about the devastation brought about by this or any other storm. That said we will try to lighten your day with some news, information and fun relating to Star Wars: The Old Republic game. Hey folks, the Cartel Market team wants your help and advice in determining possible future content. Specifically, they want to hear about what current in-game outfits you’ve been envious of that you would love to see available for other classes as moddable outfits. Please post your thoughts and ideas below! Okay, all you folks into TOR fashion…Maer this means you lol. BioWare is asking for your input on specific armors/outfits you would like to see on the Cartel Market. Maybe you saw a certain armor you wanted for your character, but due to restrictions it was unavailable for you to wear…here is your opportunity to let the developing team know which armors you want. Now make sure your requests to the thread above are detailed and constructive, but do not forget to be creative. This is your chance, the developers are seeking your constructive input…so get to it. Kudos to SWTOR community member Rishathra for creating this guide to augments and slots for those augments. Be sure to check out this guide for any questions you have on the augment system in SWTOR and also leave Rishathra a comment for creating this guide to help the SWTOR community. I think it’s fair to say that Mercenaries and Commandos have escape issues. Admittedly, they can be very hard to catch when used correctly to hug corners, but a lot of that “escapability” falls aside when attacked by multiple melee enemies, at which point they just aren’t quite tough enough to sustain without further escapes. We have plans for the future that should give Mercenaries and Commandos better escapes in PvP. Sounds like the developers are listening to the PVPers in the community and looking to address issues with the DPS Merc/Commando in PVP. Do you feel this is an issue that has needed to be addressed and what other constructive PVP issues do you think BioWare should look to address next? Let us know in the comment section below. I’m sure many of you saw this dev post in Geldarion’s article this week about October PVP news. It is good to see that BioWare is listening to the community about wanting to at least be made aware of how things are progressing with certain content elements. Let’s hope they continue to keep the community in the loop on future content, bugs, etc. It is always easier to get in front of something by coming right out and being honest with the community, instead of not saying anything and letting speculations and rumors run wild. 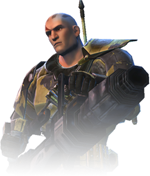 There is a new Developer Blog up on the official SWTOR website featuring Ben Cloward, Senior Technical Artist. 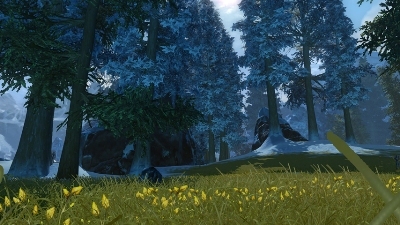 In this article, Ben talks about some of the technical changes coming in the new Patch 1.5. At first, someone might glance through the article, seeing images showing before and after comparisons and wonder why they are worried about making things look “prettier.” However the reality of the article and the work being done by developers like Ben are making the game look better, but it is so the game will run better. He explains in the article, that small programs known as shaders, basically tell graphics chips how surfaces of objects are to appear. The new shaders they are working on will do this process more efficiently and thus allowing the game to run smoother, even on higher graphic settings. Be sure to take some time to not only read the article, but look at the differences in the images. You will see they do look better and if they can do that and run more efficiently, that is a good thing for the game’s performance. While you snack on some of your Halloween treats, or take a moment from the stress and trouble caused by the storm Sandy, why not catch up on your favorite Corellian Run Radio articles and the latest podcast. As you read through our writers’ articles and listen to the podcast, be sure to take a moment and submit your feedback and suggestions in the comment sections. We love to hear from you. Thanks and enjoy the links below. Yes, that is correct Disney now owns LucasFilm Ltd, Industrial, Light and Magic, Skywalker Sound, LucasArts, and several rights George Lucas is associated with. You can read the official announcement outlining the purchase. 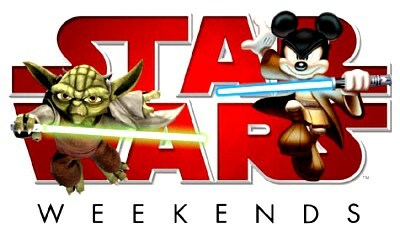 Many have already foreseen doom, especially with Disney immediately stating that a new Star Wars movie, under the current working title – Episode 7, is set to be released in 2015. Some have made jokes about Star Wars being run by Disney and that it will be the end of the franchise…yes, that is extreme, even by internet standards lol. I was a person that felt very similar when Disney purchased Marvel Studios. However, Disney is in the market to make money and they have done a great job so far with Marvel, just check out the dollars made on The Avengers movie alone. The Avengers has grossed more than $1.5 billion Worldwide and is currently the third highest grossing movie of all time, according to Box Office Mojo’s website. Disney has also had a few years of working closely with the Star Wars franchise during the Star Wars Celebration events held at their theme parks, the Star Tour ride, and Star Wars Weekends. If Disney makes that same effort to maintain the intrigue of the Star Wars franchise, as they go forward with new projects, I only see good things from this acquisition. There has been no secret that George Lucas has always gone against “traditional” ways of doing things in Hollywood. After having one of his movies pulled from his hands early on, because the studio wanted it finished and released, George swore off working for a studio and went out on his own and started his own studio, which became LucasFilm. His first movie, Star Wars: A New Hope is why most of us are so into the Star Wars franchise. 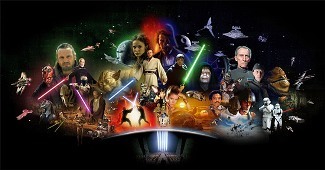 It was a huge hit and thus began the “Empire” that is the Star Wars franchise. Yes, many might fault him for some of the latest movies in the Star Wars saga, as not being up to the quality of the original trilogy, but he never deviated from doing it his way and on his time. That is why, even though I was shocked by the announcement on Tuesday about the sale, in hindsight I shouldn’t have been. He has and will be someone that sticks to his convictions, despite what fans or anyone else thinks about those choices. Honestly, it is his life and this was his company to do with it as he saw fit. I am just happy George Lucas did stick to his guns and shared his story and universe that is Star Wars. As we wrap up this week’s HoloNet Links article, let’s check out a music video from Youtube user iris083. 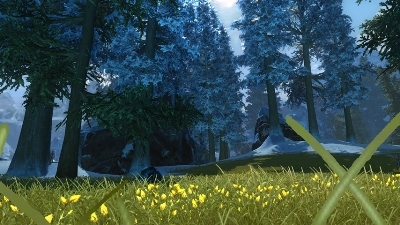 The song is from Amy Macdonald, “Slow It Down.” The video is a montage of clips of in-game footage using some various editing techniques to help tell a love story that not only crosses the galaxy, but blurs the line between the factions. It may not be Romeo and Juliet, but this is a really good music video and what better way to relax a bit than chilling out with a good music video. A shoutout to iriso83 for the work they did. Be sure to go to their channel and leave a comment. If you have a particular link, story, video, or topic related to SWTOR we would love to hear about it! You can send those to us here at Corellian Run Radio and we can place it in a future article. Just email us the links and/or the details for the event at corellianrun@gmail.com, or you can also leave any link suggestions in the comments below, or in Corellian Run Radio’s Facebook group. Thanks and see you all next week!